Families and friends of crime victims shared stories of their loved ones at a healing circle. 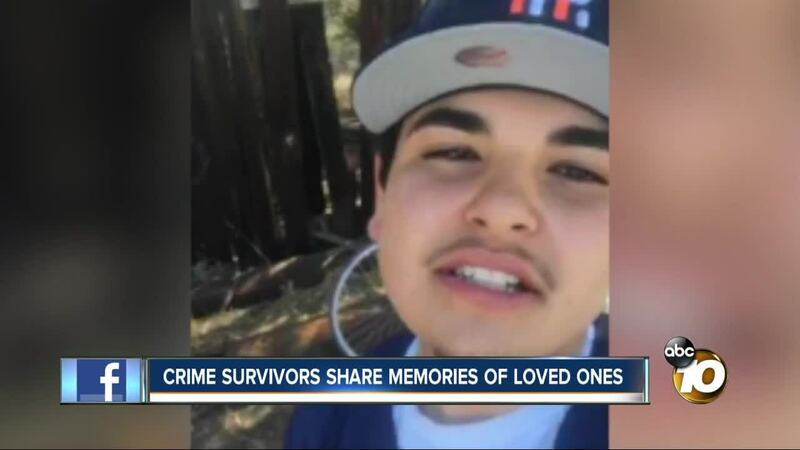 SAN DIEGO (KGTV)— Families and friends of crime victims shared stories of their loved ones at a healing circle. On October 11, 2015, Juan Carlos Munoz got the worst news of his life. "Three years ago, we got that phone call, that our son was murdered,” Munoz said. That single phone call changed the Munoz family forever. Their son, 18-year-old Juan Carlos Munoz Jr. was shot and killed while sitting in a parked car on Prospect Street in National City. “We didn't know what to do, we didn't know where to go get help, and we didn't know how to move on in life,” Munoz said. The shooter and driver got away. Lost in the confusion, heartbreak, and an endless cycle of ‘what-ifs’ the Munoz family found the group, Crime Survivors for Safety and Justice. “We don't want any parent to join this group, because that means they lost a loved one, but this group is needed for those victims have nowhere else to turn,” Munoz said. That is why he and his wife created the San Diego chapter. 'Loss' is the only criterion for membership into this exclusive group. But sadly it is growing. On the last day on national Crime Victims Right’s Week, the San Diego chapter welcomed all members. Instead of focusing on the loss, they shared stories of their loved ones to keep their memories alive. "He had a big heart, he loved people, he loved kids, feeding the homeless,” Munoz said about his son. “Junior” wanted to be a psychologist. But he never became one. Then last year, National City Police caught a break in the case. "November, we got that phone call that we've been waiting,” Munoz said. This was the other phone call that changed their lives. The two men responsible for killing Junior were arrested. "To hear that they were caught, it's a healing process,” Munoz said. He said it is a process that will never end. But talking about him reminds Munoz that Junior never really left his heart. "He gives me that strength because when I feel very lonely and sad, I just feel that extra boost, like ‘You can do this dad!’“ Munoz said.